Time management sounds like a complex concept aimed for business executives and senior managers. Many people fill their blackberries and laptops with complex organisational tools aimed to maximise their productivity. However, time management is a basic skill that everyone can learn and use in their day-to-day life. No matter if you are a senior executive or a small business owner, everyone needs to make the most of their time. Today’s post is not about advanced time management tools, but about the most simple and easy-to-use organisational systems that everyone can utilise. There is no need to use complex applications, not even technology. Organising yourself with any of the tools below will significantly reduce the stress levels, increase your chances to success and bring balance to your personal and professional life. Things-to-do lists and checklists are the simplest organisational system. Before shutting down my computer and going home, every day I make a list of all pending tasks that need to be done the next day. And every day I start my morning by going through my list of things to do. 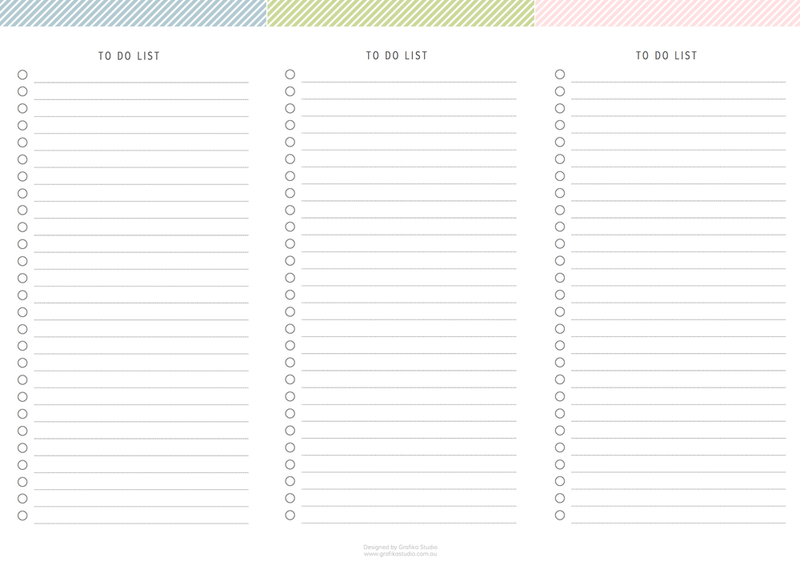 Lists are essential tools to establish priorities, and ensure you don’t forget anything important. Calendars are used to allocate times during the day to perform tasks that cannot be interrupted, like meetings, appointments, classes, etc. They can be shared with others to let them know your availability, as well as agreeing times with someone else to do something together (i.e. having a meeting with a client). However, calendars don’t allow you to prioritise your daily tasks; things have to be done during the time assigned, even if there are other important and/or urgent things to do first. List and calendars are very basic applications that any computer or smart phone has, but there are many professionals that don’t spend the entire day in front of a computer, and they may find easier to use a notepad and printed calendar to organise themselves. Paper calendars are also a much more family-friendly tool to share with kids. Project plans divide big projects in steps or tasks that need to be done in order to complete the entire project, as well as setting up timeframes and deadlines for each of them. They can also be shared with other team members and are a great tool to distribute the workload, assign responsibilities and work with other team members. Workflows help manage different projects at the same time when every project has similar tasks, making sure not to miss a step or something important. However, it’s harder to specify timeframes for each task even though you can set a deadline for each project competition. A planner is a document that combines the five tools above in one. The objective is keeping all the information together in one place. If you go to a meeting you can end up writing notes on your notepad, telephone numbers on post-it’s and the date of your next meeting on your mobile calendar. If you have a planner all the information will be in the same place. A planner can help you organise your personal life, professional activities or an important event in your life, like a wedding, a holiday, or the arrival of your baby. As everyone isn’t the same, it’s important to find the right planner that suits your specific needs best. To do this you may want to start by buying a kit that already has general calendars, checklists, an address book, etc. and then complete the planner with other personalised pages. Printable planners give you the flexibility to print as many pages as you need of each tool (and only the ones you really need) and put together different kits to manage different aspects of your personal and professional life. You can see same examples of planners at Grafika shop in Etsy. At the end of last year I looked for a simple printer-friendly planner to organised my own work in the New Year. However, everything I found had excessive design elements and colours, being quite distracting. I always thought that good design is as little design as possible so I decided to create my own planner with a clean and simple design. My first planner was quickly sold out through my Etsy shop in less than a month, so I designed a whole collection of printable planners with a minimalistic, functional and stylish design, and no fuss or distractions. The collection covers three professional planners: a small business marketing planner, a photographer's planner and a blogger's planner. To this new collection of professional planners launched in January I'm adding now in February a new range of personal planners to help you organise important life events: a wedding planner, a pregnancy and baby planner and a travel planner. These planners have a softer and more delicate design, and still in consistency with Grafika Studio signature style. So, what's exactly a printable planner for? My printable planners are organisation tools intended for specific professionals and creative jobs like bloggers, photographers, etc, and cannot be easily found in conventional shops. They contain calendars, checklists and other documents that can help organise your every day professional activities. "Printable", in this context, is a digital document, usually a PDF, which is intended to be printed by the final user at home or at a print shop. After printing, they can be punched and organised in ring folders or be bound. The printable planners have been designed for A4 sizes but can be easily adjusted or re-sized to proportional sizes (like A5 or American sizes like 8.5x11) by any standard printer. Can a printable be edited? No, a printable document is not intended to be modified by the final user. However you could edit the document with Adobe Acrobat. What can I do if I need to edit the document? If the printable document doesn't exactly suit your specific needs you can request some edits to Grafika Studio. Edits will be charged at a rate of AUD $10 per 20 min. time block. Can I get the original editable file? To be able to open and manipulate the original file you need certain design software and family fonts installed in your computer, as well as some design skills. It's usually easier to request changes to Grafika Studio instead of trying to do it by yourself.